Building a back that stands out requires both width and thickness. Training back twice a week may be what turns your good back into a great one. 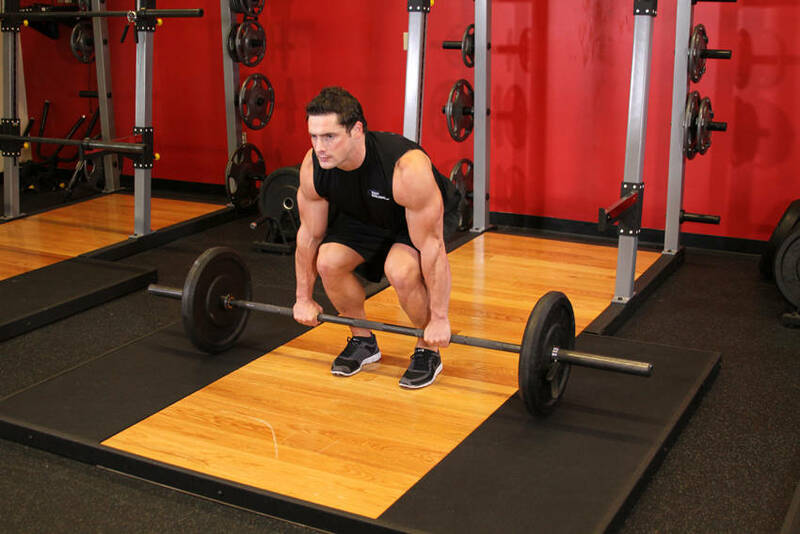 This workout is more for intermediate to advanced lifters. What are the most popular muscle groups to train in the gym? Chest, biceps, and abs, right? That was a pretty easy question. What muscle group is it that normally wins a bodybuilding contest? Sometimes it is legs, sometimes it is the back. If you have ever seen a Mr. Olympia contest between 1998 and 2005, then you saw the man who reigned as the world champion during that period, Ronnie Coleman. Critics and experts normally agreed that as soon as Coleman did the rear lat spread or the back double biceps poses, everyone else was fighting for 2nd place. It was over. He is regarded by many as having the best back in bodybuilding history. Double Biceps Pose, Everyone Else was Fighting For Second Place. Studying articles by Coleman over the years, I found that occasionally he would separate his back training into two workouts. One dedicated to back width and one for back thickness. Now I am not going into Coleman's exact workout. I'd bet that he had more than a couple of different plans in his arsenal. But if you are in a back training rut, or if you have been at it for a while and want to take your training to the next level, maybe this plan will do the trick for you. Ok, first thing we should do is figure out when in the week you should do these workouts. To prevent overtraining, you should separate the two back sessions by at least 72 hours. You could do a training split like this. If you wanted to tweak this plan based on your individual needs and goals, that is OK. As long as you get the idea of how to separate the two back days, you should be OK. Since in this plan we are going to do the back thickness workout first, let's cover that one now. I advise doing this workout first in the week. First of all, you will be rested since it is the first day of the week and you have more than likely rested the day before. Secondly, the first day for most people is Monday and everyone does chest on Monday so you will be more likely to complete the workout without waiting on equipment. The exercises that build the thick, detailed muscles in your back are rows. Rowing, rowing and rowing some more is what will get the job done. 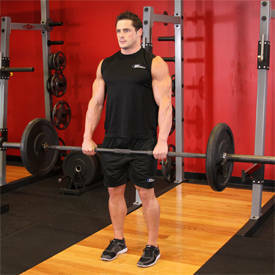 Another exercise that is known for building beef on the back is deadlifts. 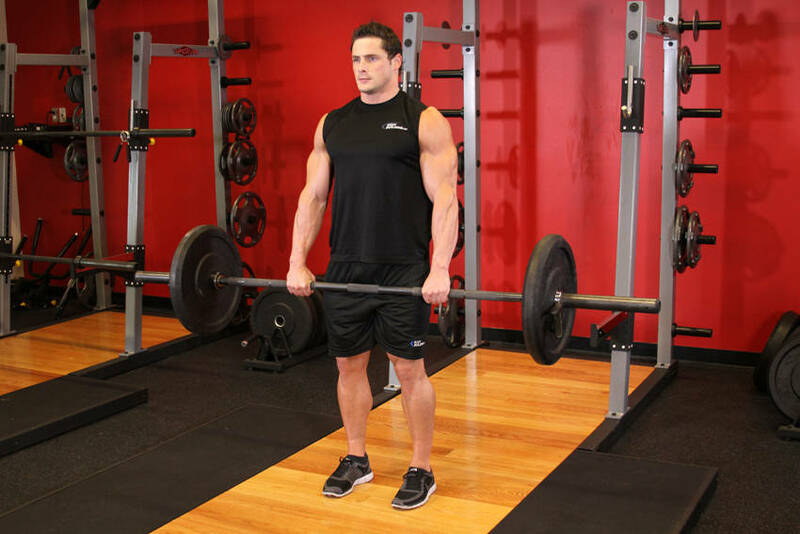 Deadlifts are not just the best for back, but may in fact be the king of all exercises. This workout plan should do the trick to help you get the thickness you desire. Use lifting straps if you have them. You want to build your back and you don't want your grip to fail before your lats do. Now you can do this exercise with either an overhand grip or an underhand grip. I recommend an underhand grip because it will help you etch in the details in your middle back and lower lats. Make sure you keep your elbows in and squeeze hard at the top. Jerking the weight will not help and may lead to injury so go slow. Go for 3-4 sets of 8-12 repetitions. Rest 90-120 seconds in between sets. I learned this exercise from an article by Charles Glass. You perform it just like the barbell row, only you have a dumbbell in each hand. This is definitely an exercise that you don't want to go super heavy on. Feeling the contractions on each rep is what will make this exercise work for you. A tip to help add variety to the movement is to start the movement with your palms facing you and twisting the palms as you pull the dumbbells in so that your palms are facing away from you at the top of the movement. Perform 3-4 sets of 12-15 reps. Rest 90-120 seconds between sets. 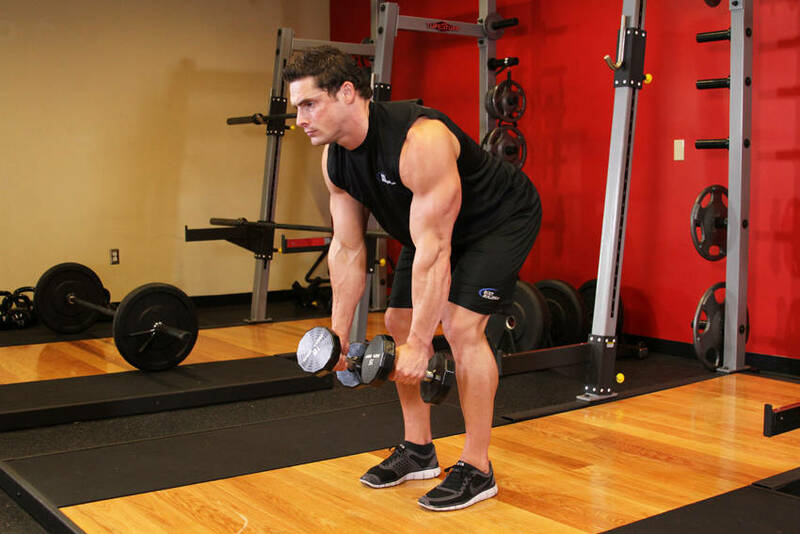 Click Here For A Video Demonstration Of Bent Over Two-Dumbbell Row. This one is an awesome movement. It isn't new, but Hany Rambod has brought it to relevance lately. 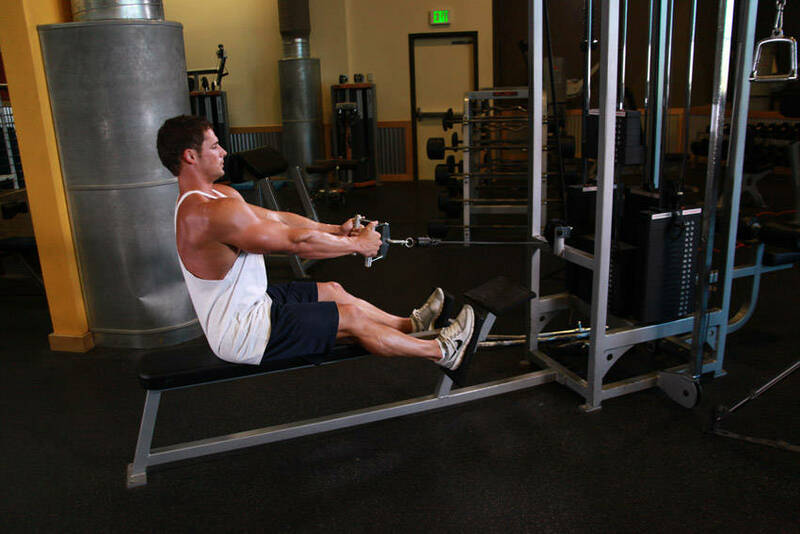 The typical seated cable row is performed with a V handle. It isn't a bad movement, but you don't get the most contraction possible. Using the rope instead helps you pull in farther and get a deeper contraction, which leads to more back improvement. 3-4 sets of 12-15 reps will get the job done here. Rest 90-120 seconds between each set. What? 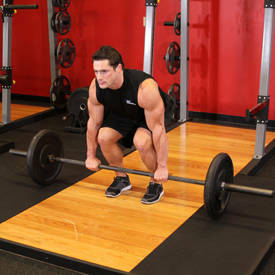 Deadlifts at the end of the workout. Yeah, I know it appears crazy, but hear me out. If you go heavy with these at the beginning of the workout, you may not have enough energy to complete the rest of the workout properly. 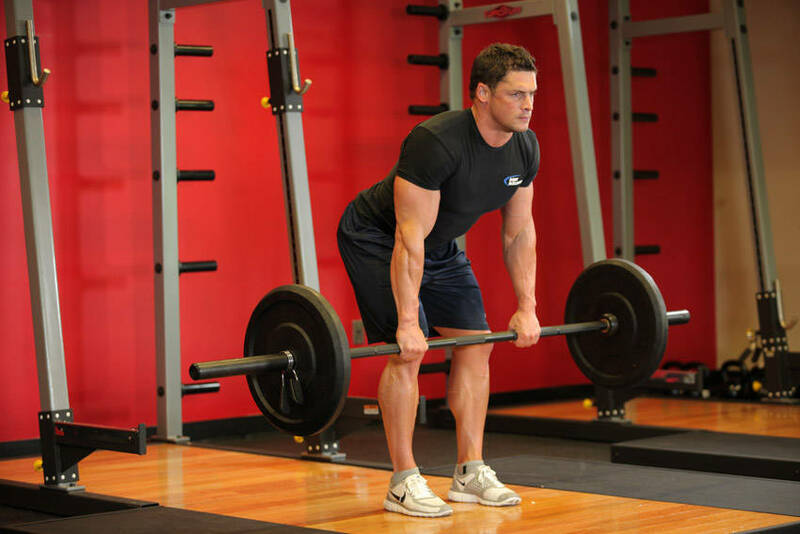 Going a little slower and lighter with deadlifts at the end of the workout will finish blasting that back off right and you will still reap the benefits of doing them. Now if you have back problems, or just don't feel comfortable doing full deads, then do them in a rack with the bar at about mid shin. If you can do them from the floor though, nothing beats them. 3 sets of 20 reps are what you should do here. Rest 120 seconds between sets. So now we move on to width day. No rows here. We are going to be focusing on pull-ups and pull-downs. Doing different types of these will make that back wide enough that you need to walk into doorways by turning to the side. Doing this routine will help you cast shadows when you approach people in no time. One more tip: use lifting straps if you have them on this day also. If you have to use an assistant machine or have someone spot you while you doing these so be it. However you do it, it has to be pull-ups. Arnold did them, Ronnie did them, all the greats did them. Wouldn't it make sense that you should do them too? You will be glad you did them, I promise you. Make sure you keep your elbows in and try to get them to touch your lower lats to get the best contraction possible. 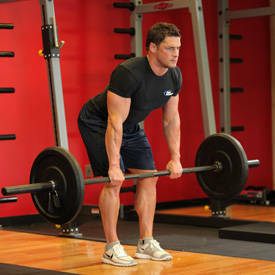 Perform 3-4 sets of 10-12 reps with 90-120 seconds rest in between. 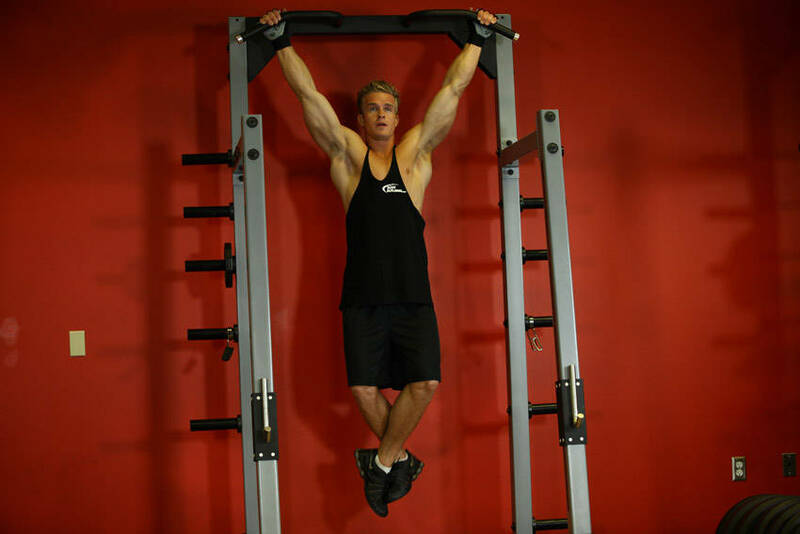 Click Here For A Video Demonstration Of Wide-Grip Rear Pull-Up. Make sure you don't swing your body while doing these. All that does is place extra stress on your lower back which leads to injury and no back improvement. Squeeze tight on the handles and lean back slightly. Pull down toward your chest and get a good contraction. Make sure you focus on the contraction and not touching your chest. You may not have to touch the pecs to feel the lats working. Again, keep the elbows in. Do 3-4 sets of 12-15 reps with 90-120 seconds of rest in between each set. Click Here For A Video Demonstration Of V-Bar Pulldown. Another "Pro Creator" favorite is the straight arm pull-down with a rope instead of a cable bar handle. Same as the seated rows with the rope, you get a deeper contraction and more benefit with the rope because you can pull farther. This is a hard one to master. Make sure you pull the rope down toward the ground instead of toward yourself. When you get near the bottom of the pull, bring the rope into the thighs and bring your chest up. Squeeze really tight and contract the lats hard before letting the rope up. Take time to practice this movement with lighter weight to get the form right. Perform 3 sets of 15-20 reps with 120 seconds rest in between each set. Click Here For A Video Demonstration Of Straight-Arm Pulldown. Now I don't recommend you do these workouts if you are a beginner. This is more for intermediate to advanced trainers. If you are a beginner, perhaps you can take two movements out of each day and combine them into one workout and do that until you get more used to training and feeling your back muscles. Also, regardless of how advanced you are. 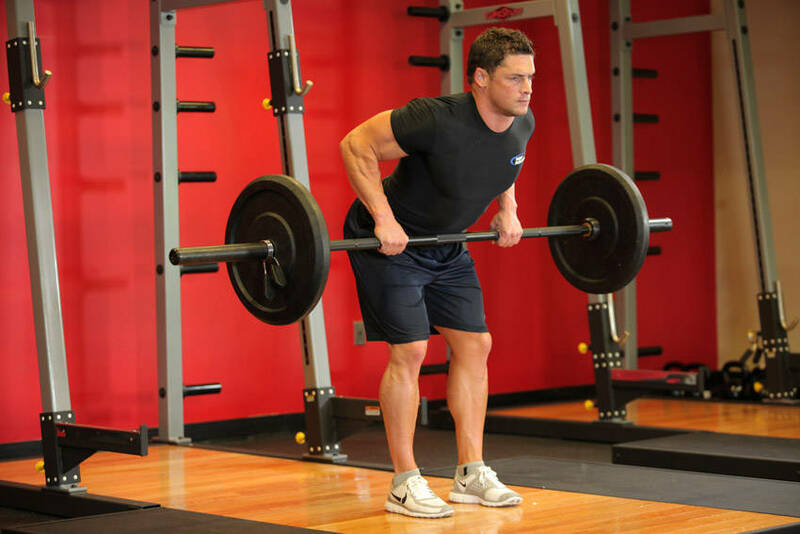 Do not take the two workouts and combine them into one huge workout. First of all, that is anywhere from 21-to-26 sets in one day. Doing that much volume in one day will lead to overtraining fast. Also, the premise with this plan is resting in between the workouts allows you to train the back twice a week so you can focus specifically on both the thickness and width without neglecting one or the other. I would recommend following this plan for 8-to-12 weeks and then going back to training back once a week for a while. Make sure you stay hydrated during workouts and stretch in between sets. 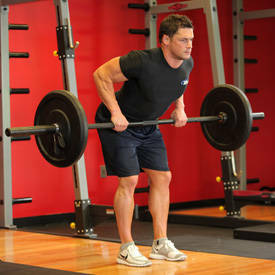 Give this program a try and you will notice new strength and development in your back muscles sooner rather than later. Warning - 4 Exercises That Will Blow Up Your Lats! Unfortunately, due to the inability to see the back while training combined with the extreme volume of work performed for the pectoralis major, many trainees neglect proper balance ... Here are details and exercises to change that. Learn more. Advanced Training, Part I: Building A Huge Back! 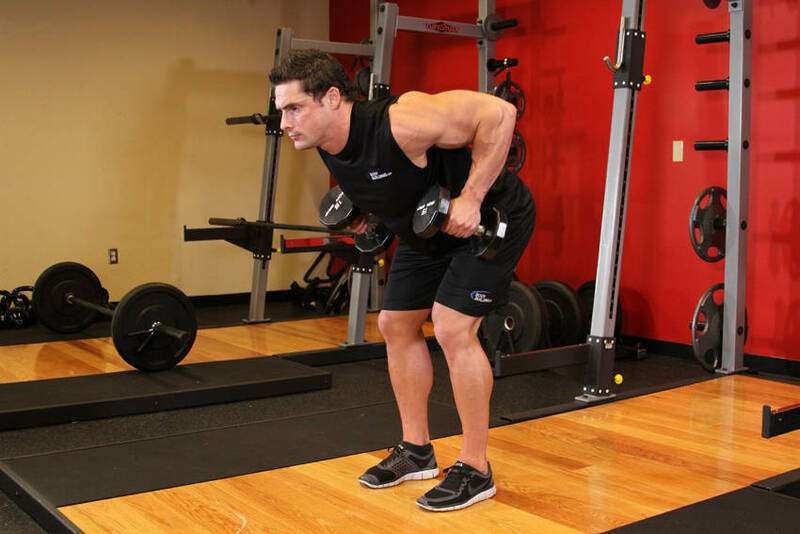 If your goal is to build massive pectorals, it has to be done in conjunction with the back. Here's an advanced back training workout you can use to build mass. Try it out and see.